Located at the 8th floor of the Pavilion Elite, Saro Lounge is the newest lounge and restaurant that provides a perfect getaway for guests to unwind and have fun with friends and colleagues after working hours or during their free time. Adorned with an exquisite environment, Saro’s vision is to provide a place of “city hideout” for Malaysians to relax and enjoy. Saro Lounge’s name was derived from the Italian word “Saro” which means “I will”. The special name acts as a commitment to provide guests with a memorable experience of a good quality service. Its interior boasts of classy wood furnishings and elegantly crafted leather seats to match its stunning bar filled with a variety of premium and craft spirits. One of the partners and Managing Director of Saro Lounge, Kesavan Purusotman shares that Saro’s services is about offering a combination that elevates all five senses. The highlight of the lounge would be the state-of-the-art, first-of-its-kind lighting which has been integrated into the ceiling. The amazing feature of the lighting is that it contains an impressive multitude of configurations to suit different moods and this also adds to the ambience of the main lounge area. Saro Lounge is an ideal venue for hosting private parties and events for about 130 – 150 pax as it is equipped with a quality sound system and LCD screens upon request. On the other hand, bigger groups who yearn for a more private setting would indulge in the privilege to dine in Saro’s Private Room. The room is well equipped with karaoke facilities and even a private restroom. Guests can savour a delicious selection of cocktails made from the freshest ingredients inspired by Asian flavours paired with Saro’s flavourful dishes while basking in eclectic tunes in comfortable settings. 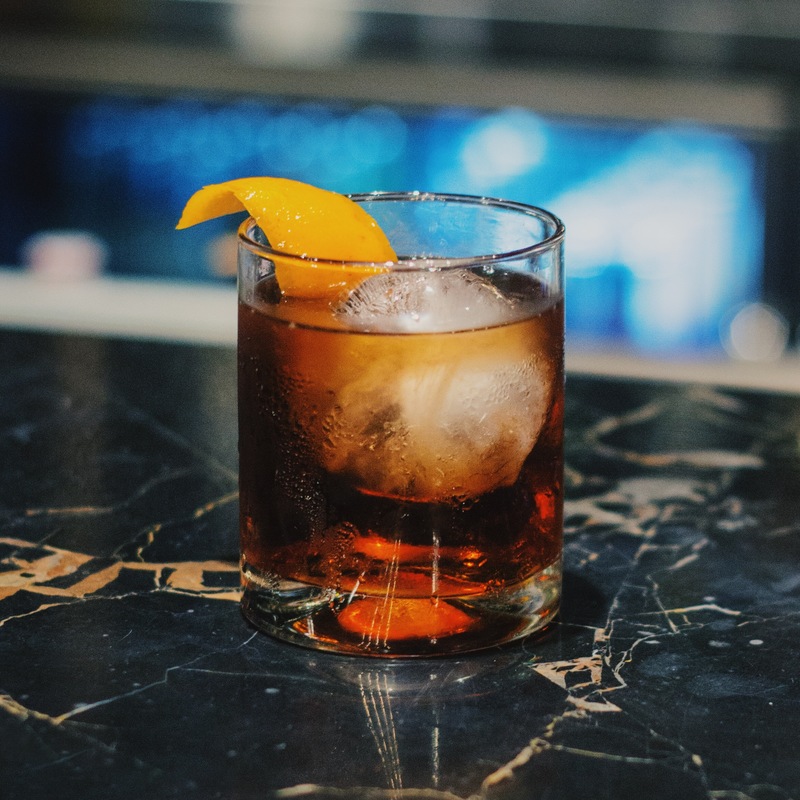 Its signature cocktails bring a one-of-a-kind twist on the classics with drinks such as Saro Sour and Rum Negroni. Meanwhile, one of its refreshing, simple and yet flavourful cocktails, the Signature Monkey 47 is a combination of fresh and floral flavours. The Saro Lounge showcases contemporary varieties of small plates and main course dishes. Appetizers like its Signature Shells that consists of 6 bite-sized pieces of Crispy Fillo pastry topped with different toppings with selections of beef, chicken, tomato, mushroom, avocado and smoked salmon make a quick bite while for those who would enjoy a more substantial meal, the pasta sautéed in Saro’s homemade Fusion Pesto sauce served with either chicken or soft shell crab would be a delightful treat. On the other hand, meat-lovers would enjoy the Grilled Australian Beef on Skewers marinated with garlic, pepper, capsicum and served with a bowl of garlic fried rice.